The Roper Brand of Boots are comfortable, yes very comfy. Slide your feet into these and you will feel a relaxed fit. For some styles that Roper offers, it may take some breaking in, as all good boots do, but once they are broken in, you will never go back. There are few others who reported that they were a relaxed fit from the start. The Roper Cowboy Boots sport a squared toe, the trademark of a fashionable boot, but that isn’t all. They can weather the storm with a high durability, which means these babies aren’t going anywhere for a long time. They are a true fit, so you know what size you’re getting from the start. Ropers have good cushioning for those moments when you’re sliding these on. Also, they are an easy clean, no need to spend countless hours scrubbing one spot. The leather exterior lends itself well to a quick clean. Lastly, they show that handmade style that we at this site know and love and they keep us coming back for more. As you know with any of the styles featured, handmade is always better. There is a certain quality that comes with the handmade style and that adds to the Roper’s durability. I know what you’re thinking, usually the Roper Cowboy Boots are meant for that stranger who walks in and sit next to you at that rodeo that you’ve been to, yeah the same guy that smiles and tips his hat, but you might be surprised. I have been searching the net far and wide and there are some great styles for women and kids alike, and no, not just a bland pink or off-white either. They sport leather boots with laser cutouts that add more style to an already great brand, and they feature colors that are diverse yet similar to the male boot. The Roper Cowboy Boot is a great addition to any dress or summer outfit for girls and trust me you won’t be disappointed. Some parents are worried that their little ones will ruin these boots, and I agree, kids can be rough, but this boot is waterproof, and like the adult sizes, they are easy to clean. Now you don’t have to be afraid if your kids get a little dirty, just let them play their hearts out and bam, whip out your best cloth and these boots will look brand new. For all of you kiddies out there, get a pair of the Roper Cowboy Boots for yourself a pack of marshmallows, some graham crackers, and chocolate and start toasting some s’mores at a campfire, all while sporting these wonderfully crafted works of art. Let’s get technical. 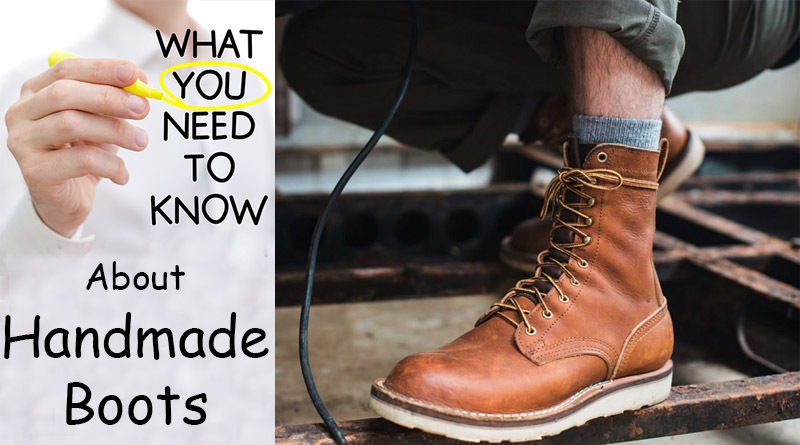 I know, I know, I’m not here to bore you, just to enlighten you on why these are a great choice for the handmade boot aficionado, and a few facts to back it up. 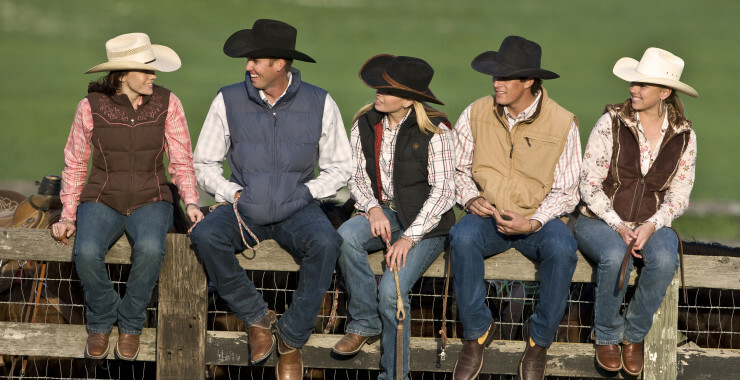 The Roper Cowboy Boot has a shorter heel and it was originally made so that ropers, the young men and women who rope the calves during rodeos, could execute their roping more efficiently and more smoothly. Now what does this mean? It means that the heel is excellent for walking or for my more outdoorsy audience, hiking. The Roper features the lowest heel of all the Western Cowboy Boot styles and its lower cut absorbs some shock from walking repeatedly and makes it easier to slide your feet in and out all while adding to the overall comfort. The shaft is lower than other styles as well, resting right above the ankle, but below the knee, making it an easy wear for those who are first time purchasers. Hessian military boots with softer leather, a shorter heel, and a mid – calf shaft (lucchese.com/What are Roper Boots?). This led to the design of the modern Roper boot today. So when you buy a pair of the Roper cowboy boots, you’re also buying a piece of England’s history, or Mark of the first Duke of Wellington, Arthur Wellesley, himself. So like I said in the beginning of this paragraph get you a pair and slide into a piece of History. 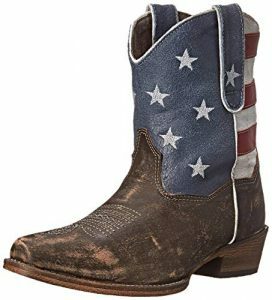 If you are looking for a shorter boot that is big on style and comfort, then look no further than the Roper Cowboy Boot. With a lower heel, this boot allows easier wear and easier walking and comfort. This boot isn’t exclusive to just men, there are plenty of Roper boots available to women and children as well and they feature elegantly designed laser cuts that add flair to this amazing style. These boots are waterproof and durable, meaning that these boots will last for quite a while, some even lasting years. Dirt and grime are no match for the Roper boot, its leather allowing for an easier clean, further extending the life of the boot. So if you’re looking for a boot that can stand a hike or a fashionable addition to your wardrobe then the Roper Cowboy Boot is a perfect match.